Mr Gilbert is an experienced rhinoplasty (nose) surgeon, a procedure known as nose reshaping or “nose job” to change the shape and size of the nose to improve appearance, and often improve breathing. Mr Stephen Gilbert also repairs skin damaged by sun cancer, and carries out otoplasty procedures to correct prominent ears. 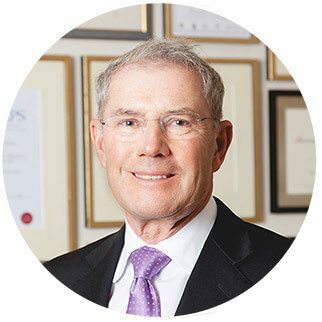 Mr Stephen Gilbert is an expert in body contouring; he and a colleague introduced liposuction to New Zealand in 1981. He offers a sophisticated three-dimensional liposculpturing procedure, using ultrasound to correct long standing disproportions of the lower body. Devoted mother to twin girls, Julyan is a high achiever, also practicing as a GP a few days a week. She is a valued member of the Prescription Skin Care team and highly regarded for her outstanding patient care and excellent results. Angela is without doubt one of the most experienced and widely respected Cosmetic Skin Care Specialists in New Zealand. An acknowledged expert in her field Angela has contributed to health and fashion publications, including writing numerous articles for New Zealand’s Fitness Life magazine. She has spoken at a number of industry seminars, including the Australasian Plastic Surgical training weekend for Doctors and the national Plastic Surgical Nurses Symposium. She was a guest speaker on the Good Morning television show talking about botox ® and dermal fillers and has had many radio interviews discussing a wide range of treatment options for cosmetic enhancement. After qualifying as a Registered Nurse in New Zealand, Angela moved to London and worked for two years in the world-renowned dermatology unit at St Thomas’s hospital. During this time she not only gained extensive specialised knowledge in the field of dermatology but also developed a keen interest in the skin and associated treatments. This was followed by seven years in the Plastic Surgery and Burns Unit at Auckland’s Middlemore hospital where Angela completed a one-year specialised diploma course in Plastic and Reconstructive Surgery Nursing. When invited to join Plastic Surgeons Stephen Gilbert and Janek Januszkiewicz in their private practice, with the main role to be supervising medical skin care programmes and to train as a collagen injector, Angela saw this as the perfect opportunity to combine her experience in Dermatology and Plastic Surgical Nursing. She started at Prescription Skin Care in 1997. After completing her initial training and qualifying as a specialist collagen injector, Angela was then accredited with a Gold Standard certificate – the highest award achievable in this field. With the introduction of new generation dermal fillers and, of course, Botox ®, Angela’s training has been both ongoing and extensive. She attends seminars, advanced workshops and conferences in New Zealand, Australia, London and the USA. Angela is a member of the American Society of Plastic Surgical Skin Care Specialists. Angela will be at the Ponsonby clinic every Tuesday. As the most experienced cosmetic skin care specialist in New Zealand, she will see to it that the Ponsonby clinic receives the necessary attention and expertise to make it another successful PSC clinic. She will continue her excellent work at the Remuera clinic during other working days. Julie has had over twenty years’ experience as a Registered Nurse. Her career has been interesting and varied. Julie has been involved in many areas of nursing including specialising in paediatrics, accident and emergency, charge nurse of an adult and paediatric surgical ward for a number of years and spending time in the community as a practice nurse. While nursing she also worked in the fashion world and met some of the most experienced people in this field. Julie is now working exclusively in the Appearance Medicine arena at Prescription Skin Care. She finds it very stimulating and rewarding providing skin care advice and treatments. She is a certified Specialist Nurse Injector of Collagen and Botox ® and enjoys helping maintain and improve others’ appearances, and giving them key information so they can make the right choices to best suit their needs. “After all, we all want to look our best.” Julie and her husband have two teenage children. As a family they enjoy an active life-style together. Her interests include skiing, boating, art, fashion, interior design and in any spare moments she loves to read up on what is happening world wide in this fantastic field of Appearance Medicine. Registered nurse with 7 years experience in the appearance medicine industry. Asia has previously worked at the New Zealand Institute of Plastic and Cosmetic Surgery as a plastic surgical nurse. Asia will be assisting with the operation and success of our Ponsonby clinic on Thursdays and Fridays. Her expertise with Botox, CoolSculpting, fillers and more will be a welcome addition to the new clinic. Asia will continue to work from the Remuera clinic during every other work day as regular.